An American statistician and writer who analyzes baseball and elections. 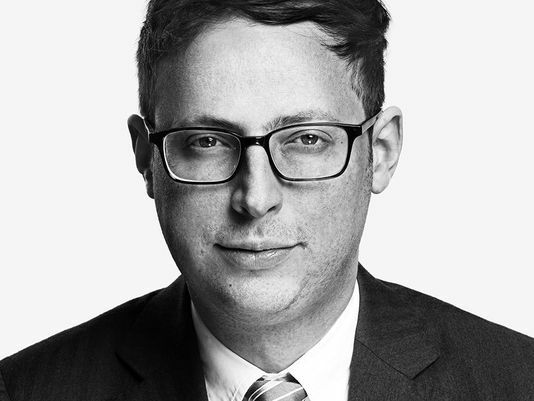 He is the founder and editor-in-chief of FiveThirtyEight and a Special Correspondent for ABC News. Nate Silver is a statistician and writer. He developed PECOTA, a system for forecasting the performance and potential of Major League Baseball players. His blog FiveThirtyEight is published by The New York Times. Nate is a pioneer of the new field of data journalism with his award-winning website FiveThirtyEight. Now in partnership with ABC News, FiveThirtyEight allows Nate to contribute to the election coverage as well as continuing to explore a wide range of areas including politics, sports, science, and more. Before he came to politics, he established his credentials as an analyst of baseball statistics. He developed a widely acclaimed system called PECOTA (Player Empirical Comparison and Optimization Test Algorithm), which predicts player performance, career development, and seasonal winners and losers. He is the author of a series of books on baseball statistics, which include Mind Game, Baseball Between the Numbers, and It Ain't Over 'til It's Over. His book, The Signal and The Noise: The Art and Science of Prediction, is a New York Times bestseller. Data-based predictions underpin a growing sector of critical fields, from political polling and hurricane watches to the stock market and even the war on terror. That means it's important to ask — what kind of predictions can we trust? What methods do the most reliable forecasters use? What sorts of things can be predicted — and what can't? Nate takes us on a tour of modern prediction science, uncovering a surprising connection among humility, uncertainty and good results. It's an essential read for anyone interested in how data can be used to understand the future. Nate has written for ESPN, Sports Illustrated, Slate, New York Sun, and The New York Times. His work has been reported in such publications as The New York Times, Newsweek, The Huffington Post, and Vanity Fair. He has been honored by a series of accolades. Most recently, Fast Company named Nate No. 1 of the100 Most Creative People in Business 2013 and Creativity magazine listed him in its Creativity 50 2013. He has also appeared in TIME's 100 Most Influential People of 2009 and Rolling Stone's 100 Agents of Change. FiveThirtyEight.com won Best Political Coverage in the 2008 Weblog Awards. Nate tailors each presentation to the needs of his audience and is not limited to the topics we have listed below. Please ask us about any subject that interests you; we are sure that we can accommodate you.